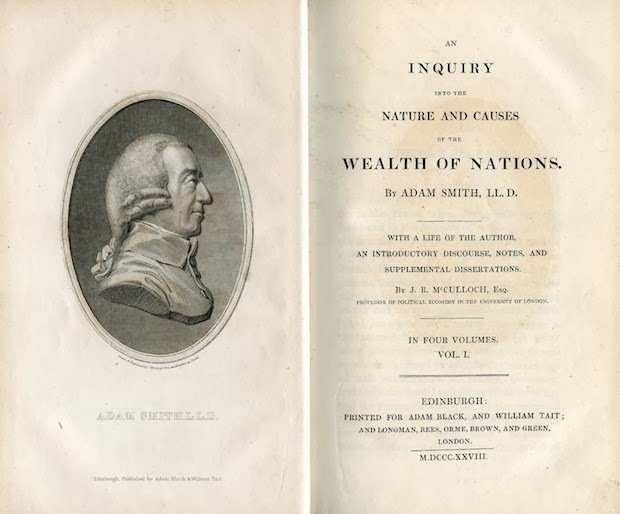 In his seminal book 'The Wealth Of Nations', Adam Smith, the Father of Economics, expounds on the virtues of the free market. Yet if one thought that Mr. Smith - if he were alive today - would be giving the thumbs up to the global housing boom, one would be gravely mistaken. For in the very same book, he writes: "A dwelling-house, as such, contributes nothing to its inhabitants". Human's innate obsession with owning property - as explained in the first part of the article - is fuelled by greed and fear. Most of us fear that not having a permanent home puts us at an economic and social disadvantage. Some take advantage of this fear in others to feed our greed. Neither bodes well for the world. In this second part, two things will be explained. First, the ways how excessive home ownership is harmful to us, as individuals and a community. Second, the ways how housing ought to be controlled for the benefit of everyone. Rampant overtrading is bad - Adam Smith is all for free trade, but he warns against 'overtrading' - which is an archaic, gentlemanly way of describing 'speculating' and 'gambling'. "When the profit of trade happen to be greater than ordinary," he explains, "overtrading becomes a general error". When housing becomes an investment target, several things happen. Demand, supply and price are artificially inflated. 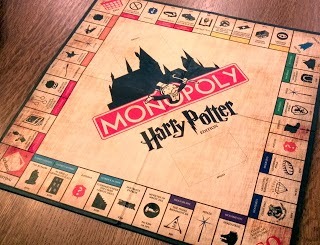 Houses are bought and sold like deeds in a game of "Monopoly" - the object is to dominate the prime areas, and charge exorbitant rent. The availability of easy financing by the banks and generous tax breaks by the government are of little help and distorting, for they only encourage people to buy beyond their means and developers to build more houses than necessary. People treat properties not just as a commodity, but as a form of currency, believing (erroneously) that property, unlike cash, will never devalue. Buying a house is akin to putting majority of eggs into a single basket. There are hidden costs aplenty - land tax, renovation and repair works, tax from rent income, more expenditure on fuel (a house owned, rather than rented, is likely to be further from one's work-place), and so on. If one choose not to buy, the money saved from paying hefty monthly loan instalments (less rental) can be used to diversify one's savings and investment portfolio. Residential housing, unlike a factory plant or mining site, provides no production. Trading houses is a zero sum game. The biggest winners are the rich and the lucky. The biggest losers are the poor, and the debt-ridden suckers who pretend they are not. Mobility over stability - One of the social benefits of owning a home is having a permanent place to call home. No one will ever evict you out, unless you default on your mortgage. Once you have uprooted in your dream home, you can feel safe, secure and stable, and live happily ever after. But that's not true. Neighbourhoods are no longer the sleepy villages where you could leave your doors unlocked and trust your neighbour to feed your cat. People are prone to move in and out of neighbourhoods - once again, due to rampant overtrading. Neighbourhoods are increasingly populated by renters and temporary owners. In contrast, renters enjoy greater mobility. They can live in strategic locations, according to their shifting needs. They can save time being stuck in traffic by renting a place near the city or a commuting hub. If the neighbourhood becomes unbearable due to the influx of unsavoury neighbours or commercial development, they can pack up and leave after their tenancy expires. Migration between cities and countries to seize employment opportunities becomes seamless. Sure, a house-owner can always sell or rent out their old homes, and buy a new one to move in to - but this requires much more financial planning and physical supervision. Some economist believe that during economic downturns, unemployment rates are higher in places with high home ownership rates - after all, a house-owner is naturally more reluctant to seek greener pastures beyond one's comfort zone. In this modern age, home ownership is hardly synonymous with stability, whilst mobility is key to productivity. Social Equality - We live in an imbalanced world, due to history and legacy. In the past, there were far less people, and more undeveloped land. Property were gotten rather cheaply, and handed down to family freely. The beneficiaries are the early-comers - not by virtue of them being bold and enterprising as true explorers like Columbus were, but simply by them being born in the right place, at the right time. Lands inherited in perpetuity reeks of tyranny from the grave, much like the kings and aristocrats of old. Theoretically, the opening of new lands should satisfy the needs of the late-comers. But in practice, excess lands are quickly hoarded by the rich. Privatisation is good for economic development, but unregulated capitalism is bad for social equality. Governments should tightly regulate housing, like how Germany does it. Respecting every individual's absolute right to property is a noble but naive cause, in the bigger scheme of things. A society prospers or declines largely due to proper town planning. True, horrible town planning, like in many developing countries, may be the fault of corrupt, incompetent authorities. Nevertheless, powerful private brokers in the housing industry should also bear the brunt of the blame. Too many fresh residential developments are allocated to the few at the top of the human pyramid, too few are allocated to the many at the bottom. Home ownership is the modern-day form of territorial conquest. We need less of it, not more. Being a Quidditch champion and a world-saving hero, Harry realised, is not good enough to get into Harvard Business School. Maybe picking this up will. First, we need a conceptual paradigm shift - from "home ownership" to "housing". A good housing policy finds a good balance between ownership and rental. Due to the horrible state of housing at present, laws must be enacted and enforced to curb the harm of excessive ownership, as highlighted above. Higher property taxes - Land is not limitless. Yet, a lot of land is left undeveloped and unoccupied. To promote efficient land use, higher tax on property must be imposed. Also, property tax is one of the most effective forms of taxes. Land lies wide in the open, so what you see is what you tax. Unlike income tax, there is little room to under-declare the taxable amount and meddle with deductions. Unlike corporate and business taxes, you can't detach a piece of land and hide it in an offshore haven. Aside from direct tax, land transfers should also attract higher tax, to deter speculators from flipping land as easily as flipping coins. A stringent property tax regime is what, among others, enables Germany to keep home ownership in check. Also, developing countries like Malaysia will always be targeted by foreign investors with stronger currencies. Whilst FDI should not be out-rightly prohibited from the residential property market, imposition of higher property tax on foreign citizens or corporate entities with substantial foreign interest (legal or beneficial) will go a long way to prevent Colonisation 2.0 from happening. Stronger governance and shorter leases - By right, all lands belong to the state. That's how it always has been, and how it should be. The civil service is not the most efficient machinery to manage housing, hence the need to rope in the support of municipal authorities, community land trust foundations and private housing companies. No land meant for housing should be held in perpetuity, or deemed as 'freehold'. Residences should only be occupied by people on long-term or short-term leases. Ideally, they should be 'owned' not more than seventy years, which is long enough to last for a generation. When land is taken back (or 'ownership' expires), monetary compensation can be awarded, plus priority rights and discounts to buy a new property within the vicinity. This is a fair trade to present and future generations. Reinstatement of rent control - The history of rent control is chequered and controversial. In the UK, rent control was first introduced during the outbreak war, when safe living areas were scarce. Predictably, as peace-time returned, rent control laws - largely considered as socialistic - gradually loosened. Today, affordable housing is scarce - not due to war, but because of unbridled capitalism. And that's exactly why rent control needs to make a comeback. Generally, rent control guarantees longer tenures and limits increase in rental rates. The establishment of a special body to hear tenancy complaints and adjudicate disputes helps reduce legal costs and expedite resolutions. To protect both landlords and tenants, a transparent ratings system, based on peer review and data from the complaints board, can also be implemented. This will assist people to distinguish the sweet old ladies from the party head-bangers. Today, in the UK, rent control has been subsumed in a wave of housing legislation in the 1990s, but otherwise remained alive in spirit. In 1997, the Control of Rents Act 1967 was repealed in Malaysia, without any substitute. This has done little to alleviate the distress of landlords to deal with delinquent tenants, and vice versa. Rent control should be reinstated, for the good of both parties. 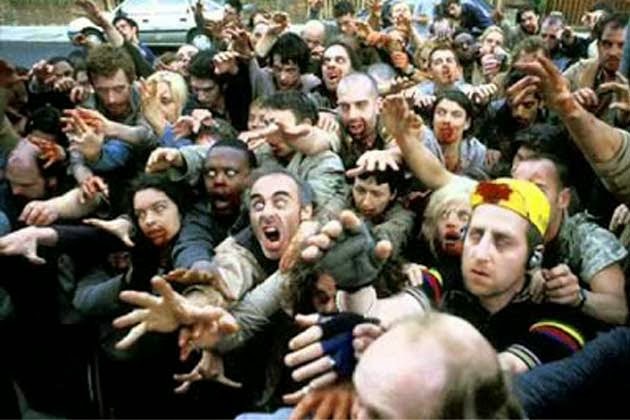 We should not wait until World War Z before reinstating rent control. As individuals, we need to realise that though shelter is a basic necessity, home ownership is not. There is no shame in renting, whether one is rich or poor. In life, you win some, you lose some. When renting, you may lose points on security, but you win points on flexibility. Most societies, however, promote home ownership in a big way, as if it's a natural aspiration for everyone. In a sense, it is true - since the dawn of humanity, kings have enslaved their own kinsmen, who in turn work hard to earn their freedom and enslave others. Slavery is natural. But that doesn't mean we should condone it. It's time to stop slaving ourselves to land, and start learning to share. Each one of us deserve a proper roof on top of our heads, without needing to chain ourselves to its pillars. We should not be compelled to sacrifice our freedom to obtain security. A home should always feel like a nest, never a birdcage.